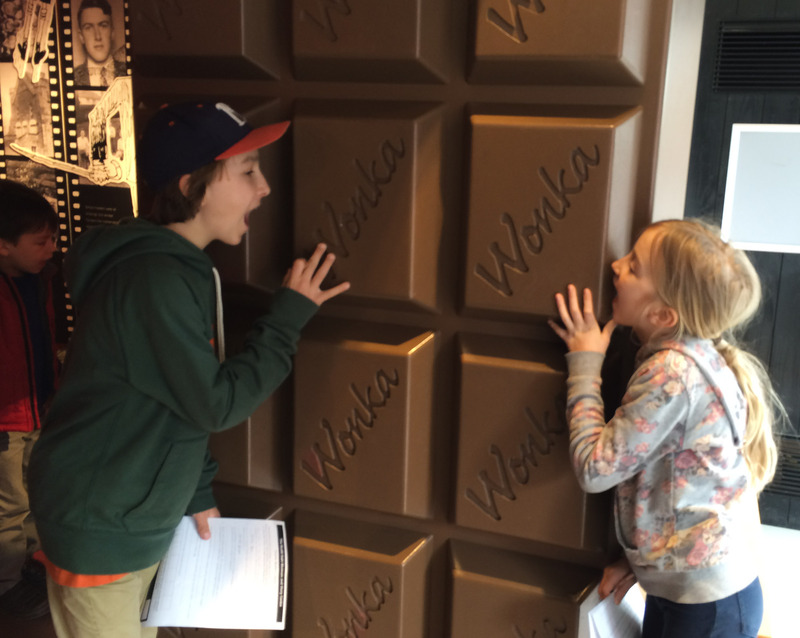 About a year ago we gathered a list of Roald Dahl’s kids books and slowly worked our way through reading them all. 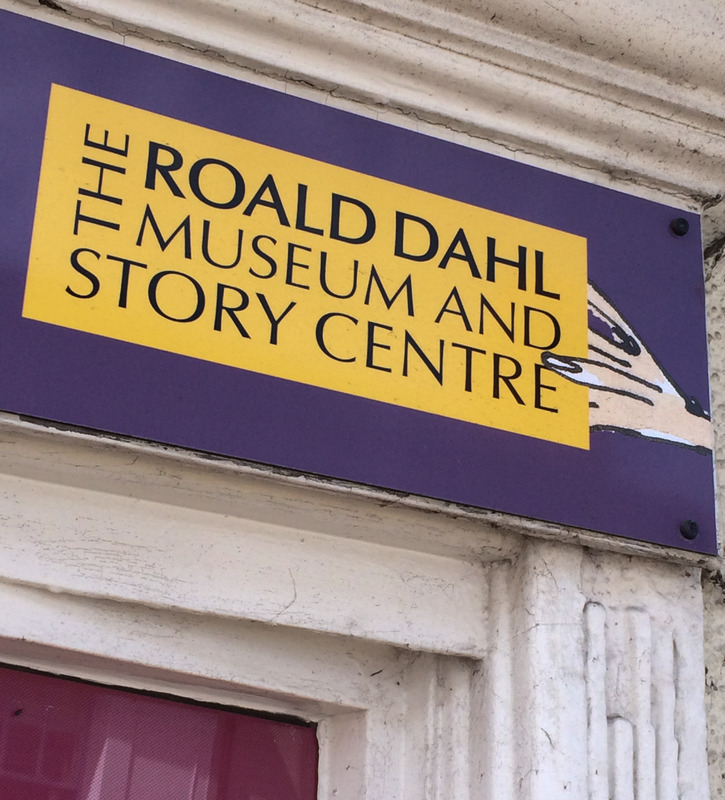 As dedicated fans of his writing we felt compelled to find something Dahl-like to visit here in his native UK. 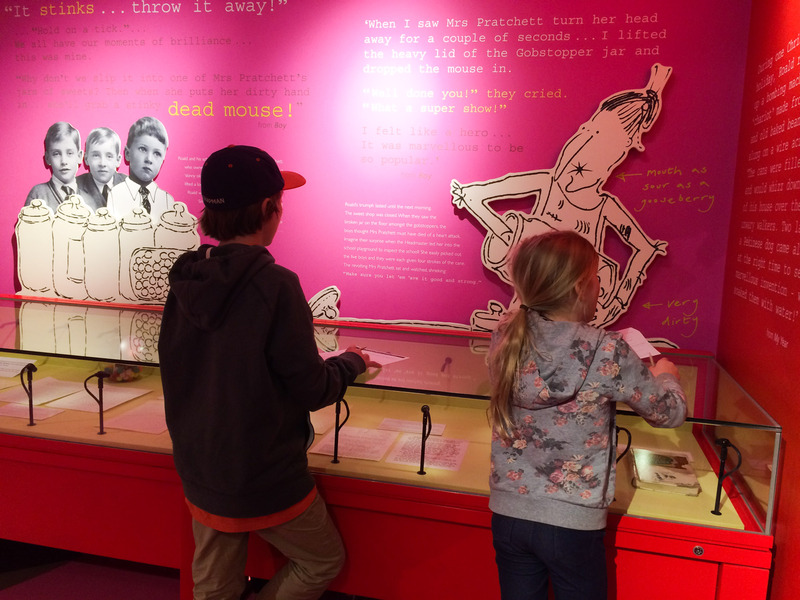 We discovered the Dahl museum in Great Missenden, a small town X bout an hour out of London. 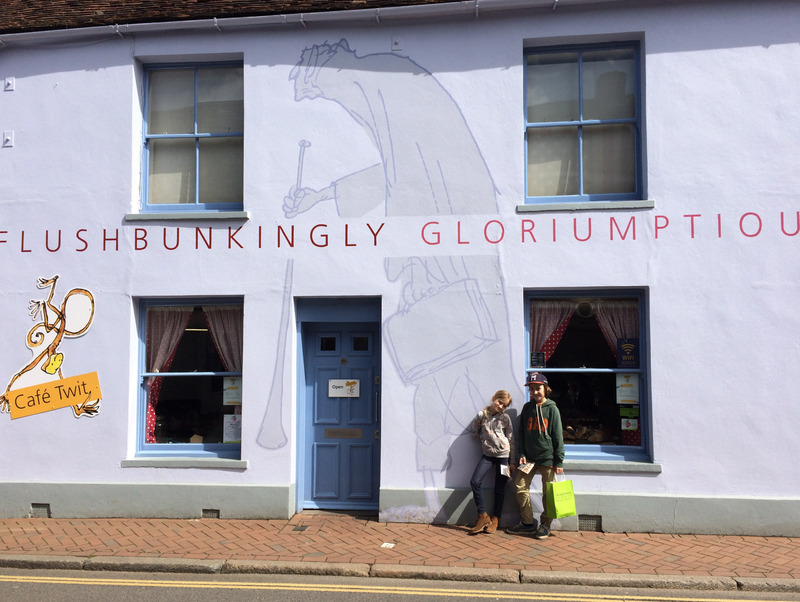 The building was easy to spot since it had a huge BFG painted on the facade. 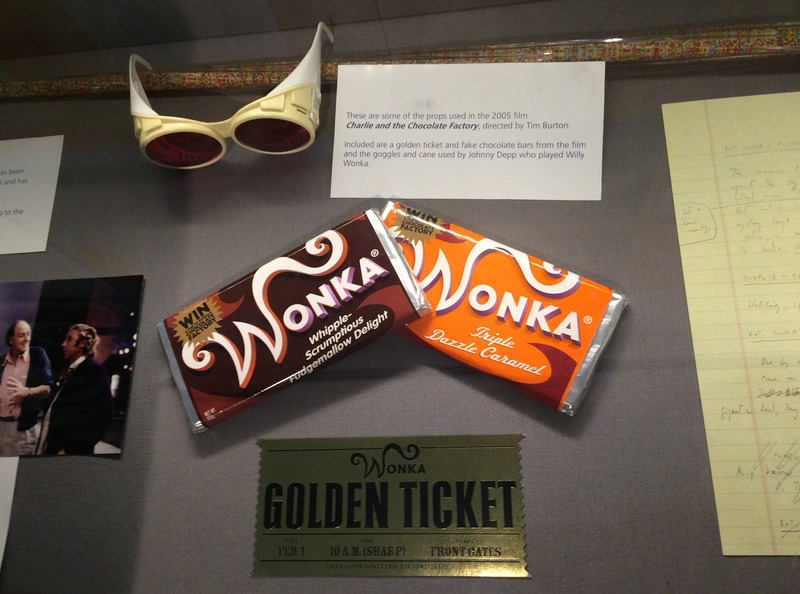 The museum was small but was loaded with information about Dahl’s life, his influences, struggles, and even included his writing shed and its contents. 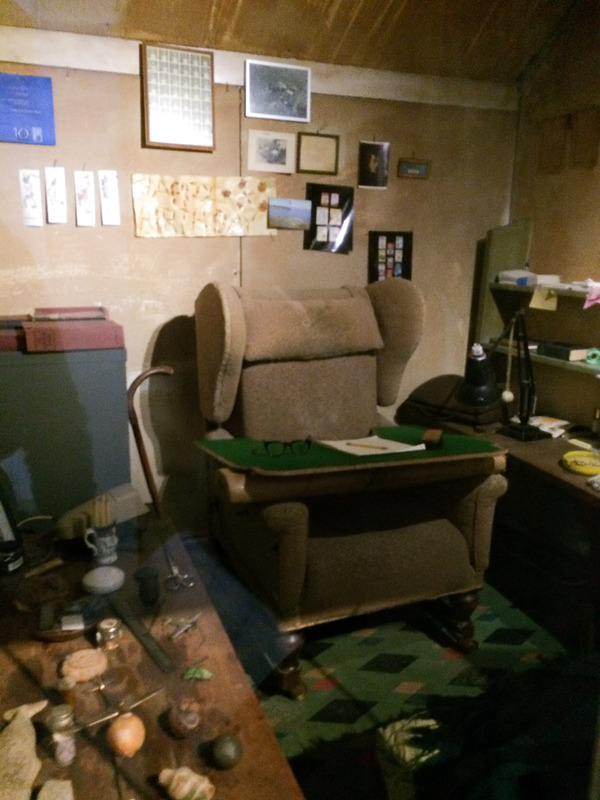 He wrote in a wingback chair with a board across his lap and his feet tucked into a sleeping bag. He was s funny guy with an amazing imagination – a bit dark, too, but definitely entertaining. After visiting the museum we ran around at a park and played soccer and enjoyed the (rare) sunshine.